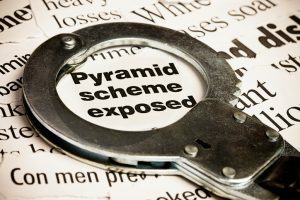 The Securities and Exchange Commission (“SEC”) announced yesterday that it was bringing charges and freezing the assets of a group of unregistered funds and their owner based on allegations that the Woodbridge Group and its founder, Robert Shapiro, bilked investors (many of them seniors) in a massive $1.2 billion Ponzi scheme. According to the allegations, Woodbridge and Shapiro defrauded more than 8,400 investors in unregistered Woodbridge funds, based on a business model built on lies. According to the SEC complaint, Woodbridge marketed itself as issuing loans to purported third-party commercial property owners that were paying Woodbridge between eleven and fifteen percent annual interest for “hard money,” short-term financing. Woodbridge then promised to pay investors five to ten percent interest annually, according to the allegations. The claimed high-interest loans to third parties, were actually in large part made to Shapiro-owned companies that had no income and never made interest payments on the loans, according to the complaint. The complaint alleges that the Woodbridge group was only able to pay dividends to investors using a constant infusion of new investor money and that Shapiro used a web of layered companies to conceal his ownership interest in the purported third-party borrowers. The SEC further alleges that Shapiro and Woodbridge used investors’ money to pay other investors, and paid $64.5 million in commissions to sales agents who pitched the investments as “low risk” and “conservative.” Shapiro, of Sherman Oaks, California, is alleged to have diverted at least $21 million for his own benefit, including to charter planes, pay country club fees, and buy luxury vehicles and jewelry. According to the complaint, the scheme collapsed in typical Ponzi fashion in early December as Woodbridge stopped paying investors and filed for Chapter 11 bankruptcy protection. The SEC’s complaint charges Shapiro, Woodbridge, and certain affiliated companies with fraud and violations of the securities and broker-dealer registration provisions of the federal securities laws. If you or someone you know invested in the Woodbridge Group of Companies through any brokerage firm, and lost money as a result of an investment, please call the Frankowski Firm at 888.741.7503 or fill out this contact form.